Make a dramatic or subtle statement to your patio, terrace or back yard garden with garden pottery from Casa Bonita. We offer a great selection of garden planters imported from around the world. They come in a variety of shapes, sizes and materials to add that special charm to your garden. 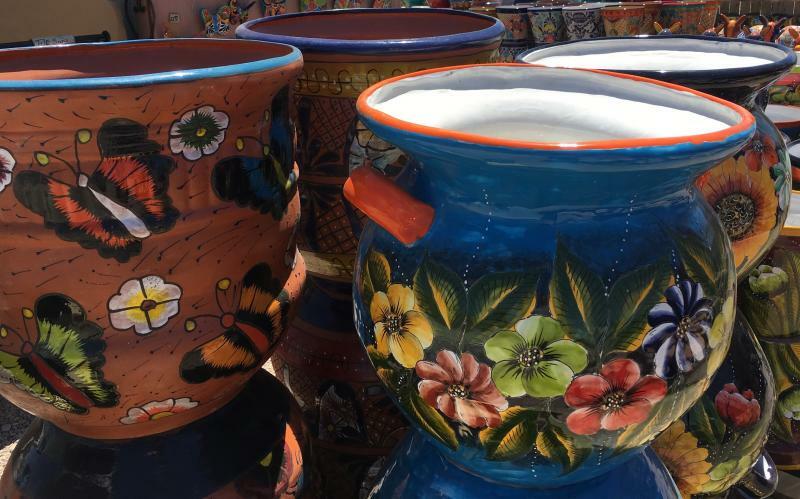 From eclectic patterns in colorful Talavera to glazed, concrete, rustic and animal figurines these pots will allow you to enjoy growing plants in places that might be thought of as impossible or unthinkable in which to plant. Use beautiful Talavera pottery to provide instant color anywhere and at any time. Use beautiful Chinese planters to change the entire look of your landscape. Even when there is ample room to garden in the ground, well--placed containers within the garden can provide easy-to-achieve seasonal changes as well as bold statements. Our beautiful Vietnamese planters offer that special rustic look. Containers allow you to enjoy growing plants in places that might be thought of as impossible or unthinkable in which to plant. Poor soil or no place to put plants in the ground is no longer an excuse for not being able to enjoy the simple pleasures of gardening. Mexican clay pots come in a variety of shapes and colors. From the earthy look of terra cotta containers to the whimsical look of animal pots, container gardening with Mexican pots is almost an art form. Container garden allows you to show up your gardens in window sills, balconies and just about any place you can think of. Decorative pots filled with flowers, vegetables and herbs will add that special touch that you've been looking for.